1. NO PROCEDURE IS INITIATED for the appraisal of the constitutionality of Article 5 paragraph 2 of the Law on the Assembly of the Republic of Macedonia (“Official Gazette of the Republic of Macedonia”, no.104/2009). 2. Novica Nakov from Skopje filed an application with the Constitutional Court of the Republic of Macedonia to instigate proceedings for the appraisal of the constitutionality of the Article from the Law noted in item 1 of the present Resolution. According to allegations in the application, the impugned provisions prescribed the term of office of Representatives to run from the date of its verification to the date of verification of the term of office of the newly elected Representatives, but no longer than four years. With its Decision U.br.87/2006 of 15 November 2006 the Constitutional Court of the Republic of Macedonia held that the term of office of Representatives was a constitutionally regulated issue. It was undisputable that the term of office of the Representatives began to run from the constitutive session of the Assembly, that it lasted for 4 years and could only be extended in case of a war or emergency, as well as shortened in case of dissolution of the Assembly or when the new Assembly was constituted before the expiration of four years. The Constitution did not establish that the term of office of Representatives be extended in the event of dissolution of the Assembly, nor was the intention for them in such case to continue the duty. According to the applicant, the term of office of the Representatives, and thus the exercise of the legislative function of this body of state authority, were put in timeframes that did not allow performance of power after the expiration of the four years or after the dissolution of the Assembly, and after the constitution of the new Assembly prior to the expiration of 4 years. The impugned provisions violated Article 63, Article 51 and Article 8 paragraph 1 lines 3, 4 and 5 of the Constitution, and for these reasons it is proposed that the Court issue a resolution on suspending the execution of individual acts or actions undertaken on the basis of the impugned decision and annul the same. 3. At its session the Court held that under Article 5 paragraph 2 of the Law on the Assembly of the Republic of Macedonia (“Official Gazette of the Republic of Macedonia” no.104/2009), the term of office of the Representatives lasts from the date of its verification to the date of verification of the term of office of the newly elected Representatives, but no longer than four years. 4. Pursuant to Article 1 paragraph 1 of the Constitution, the Republic of Macedonia is a sovereign, independent, democratic and social state, and in accordance with Article 2 paragraph 2 the citizens of the Republic of Macedonia exercise their authority through democratically elected representatives, through referendum and other forms of direct expression. Under Article 8 paragraph 1 lines 3, 4 and 5 of the Constitution, the fundamental values of the constitutional order of the Republic of Macedonia are the rule of law, the division of state powers into legislative, executive and judicial and political pluralism and free direct and democratic elections. Pursuant to Article 51 of the Constitution, in the Republic of Macedonia laws shall be in accordance with the Constitution and all other regulations in accordance with the Constitution and law (paragraph 1). Everyone is obliged to observe the Constitution and laws (paragraph 2). Under Article 61 of the Constitution, the Assembly of the Republic of Macedonia is a representative body of the citizens and the legislative power of the Republic is vested in it. The organisation and functioning of the Assembly are regulated by the Constitution and the Rules. Pursuant to Article 63 paragraph 1 of the Constitution, the Representatives for the Assembly are elected for a term of four years. The mandate of the Representatives is verified by the Assembly. The length of the mandate is reckoned from the constitutive meeting of the Assembly. Each newly elected Assembly must hold a constitutive meeting twenty days at the latest after the election was held. The constitutive meeting is called by the President of the Assembly of the previous term. Under paragraph 2 of this Article of the Constitution, if a constitutive meeting is not called within the time laid down, the Representatives assemble and constitute the Assembly themselves on the twenty-first day after the completion of the elections. Paragraph 3 of Article 63 of the Constitution stipulates that elections for Representatives to the Assembly are held within the last 90 days of the term of the current Assembly, or within 60 days from the day of dissolution of the Assembly. The provision of paragraph 4 of this constitutional Article stipulates that the term of office of the Representatives to the Assembly can be extended only during states of war or emergency. Under Article 6 of this Article of the Constitution, the Assembly is dissolved when more than half of the total number of Representatives vote for dissolution. Pursuant to Article 66 of the Constitution, the Assembly is in permanent session and works at sessions that are called by the President of the Assembly. 5. From the said constitutional provisions it arises that the exercise of power through democratically elected representatives is a constitutional principle upon which the organisation of state power is governed by the provisions of Part III of the Constitution. The Assembly of the Republic of Macedonia is defined as a representative body of the citizens and the holder of the legislative power in the Republic. Status issues of this body of state authority are regulated by the Constitution. 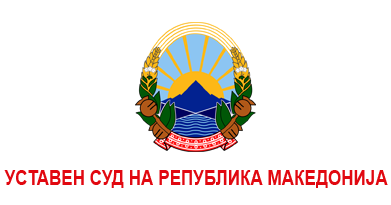 Only the organisation and functioning of the Assembly and the manner and conditions for the election of Representatives in addition to the Constitution shall be governed by the Rules, that is, the Law on the Assembly of the Republic of Macedonia which was adopted on 17 August 2009 and published in the “Official Gazette of the Republic of Macedonia” no.104/2009. The Law contains 9 chapters, where the impugned provision of Article 5 paragraph 2 is contained in Chapter II of the Law entitled “Commencement and termination of the mandate and incompatibility of the office of a Representative with the carrying out of any other public office or profession,” to which also belong Articles 5-7 of the Law. Under Article 5 paragraph 1 the mandate of the Representatives is verified by the Assembly. Under paragraph 2 which is disputed by the application, the mandate of the Representatives begins from the date of its verification to the date of verification of the mandate of the newly elected Representatives, but no longer than four years. Under paragraph 3 if the Assembly does not verify the mandate of the Representative, he shall be considered to not have been elected a Representative. Under paragraph 4 with the verification of the mandate the Representative acquires rights and duties stipulated by the Constitution, law, Rules and other regulations and general acts. The method, the procedure for verification, and the reasons why the Assembly may not verify the mandate of the Representative shall be governed by the Rules (paragraph 5). Article 6 of the Law stipulates the cases in which the mandate of the Representative expires before the period for which he was elected, and Article 7 of the Law defines the incompatibility of the office of a Representative with the performance of other public office or profession. Not initiating a procedure for assessing the constitutionality of the Law on the Assembly as a whole, in its Decision U.br.197/2009 of 23 March 2011, the Constitutional Court held that: “The Law should be understood as a legal act which elaborates and specifies the constitutional determinations concerning the organisation and functioning of the Assembly of the Republic of Macedonia, and thereby the legislator does not violate his constitutional position to adopt laws within the constitutional powers under Article 68 line 2 of the Constitution” and that it does not derogate the Constitution and Rules of the Assembly, as the applicant considered. From the content of the contested provision of Article 5 paragraph 2 of the Law on the Assembly, and from its systematics in Chapter II of the Law entitled “Commencement and termination of the mandate and incompatibility of the office of a Representative with any other public office or profession”, the Court held that it specified and elaborated the constitutional provision under Article 63 which governed the term of office of deputies and determined the moment when the mandate began to run. In addition, the Court found that the right of the legislator – the Assembly of the Republic of Macedonia – in the law that regulated its work to regulate this issue as well, that is, to determine the moment when the mandate of the Representatives terminated. The Court was of the opinion that the applicant improperly invoked the Decision U.br.87/2006 of 15 November 2006, in which one of the reasons why the provision of Article 15 paragraph 4 of the Electoral Code was repealed was also that the provision regulated an issue that was beyond the subject-matter of the regulation of the Electoral Code, which had a constitutional basis only to regulate the manner and conditions for election of Representatives, and not to regulate the mandate of the Representatives. The mandate of the Representatives is already a constitutionally regulated issue. From the noted provisions of the Constitution it is undisputed that the mandate of the representatives begins to run from the constitutive session of the Assembly and lasts for 4 years and can only be extended in the case of war or emergency, and shortened in the event of dissolution of the Assembly or when the new Assembly is constituted before the expiration of four years. It is a fact that the constitution-maker in the provisions of Article 63 of the Constitution did not determine the exact moment when the mandate of the Representatives from one parliamentary composition terminates. Therefore, starting from the constitutional provision stipulating that the four-year term of Representatives begins to run from the constitutive session of the Assembly, in the impugned provision the legislator determined the moment when the mandate of the Representatives terminated – and this is the moment of verification of the mandate of the newly elected Representatives. Thus, the legislator put the length of the mandate of the Representatives in a precise time frame of 4 years, which does not allow in any way extension of the mandate for more than 4 years, except for the exemption provided for in Article 63 paragraph 5 of the Constitution relating to states of war or emergency. The binding of the moment of termination of the mandate of the Representatives from one parliamentary composition with the moment of verification of the mandates of newly elected Representatives aims at ensuring continuity in the work of the Assembly and avoiding situations of legal vacuum of the legislative authority. Based on the above, the Court finds that the impugned provision is in the spirit of the Constitution and respects the constitutional provision with regard to the length of the mandate of Representatives in the Assembly of the Republic of Macedonia for a period of four years. Consequently, it did not raise the issue on the accordance of the impugned provision with the provisions of Article 8 paragraph 1 lines 3, 4 and 5, Article 51 and Article 63 of the Constitution. 6. On the basis of what has been stated, the Court decided as in item 1of this Resolution.